Welcome to the gardens of Arcadia! 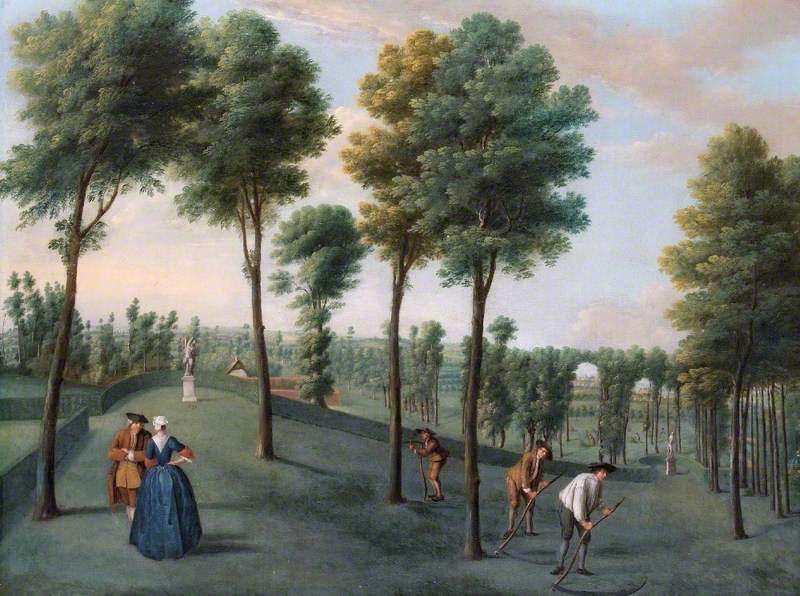 As your eighteenth-century counterparts discovered, garden visiting was an enjoyable way to spend time, if one had the money and leisure to develop the taste for such occupations. However, garden visiting was not always plain sailing. At the very least there may be tickets to buy or knowledge to be obtained about when a garden might be accessible to visitors. 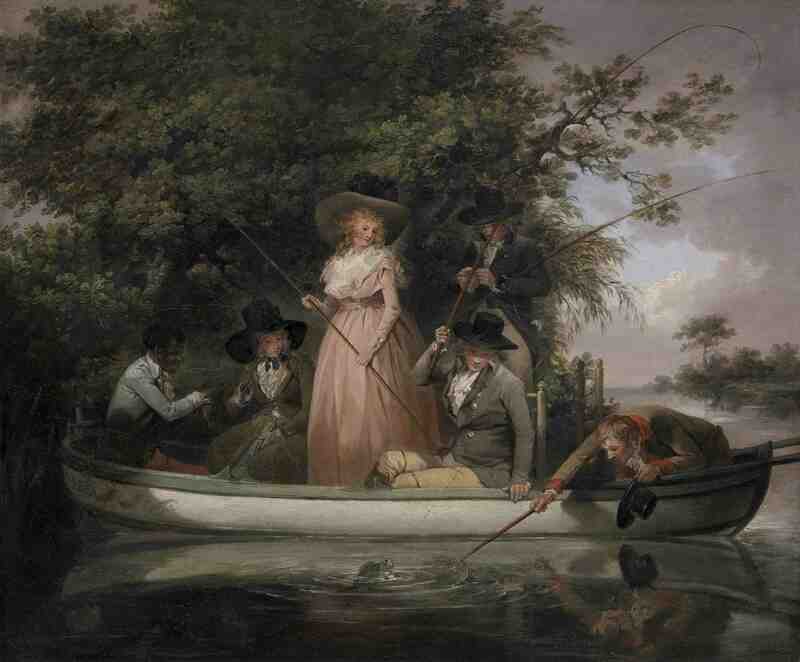 We hope that this digital visiting experience will allow you to enjoy the sights and smells of the gardens through the descriptions of eighteenth-century visitors, without such limitations or having to endure the inconvenience of travelling in a cramped coach or staying at a less than salubrious inn. This prototype website is optimised for desktop and laptop computers and may not work properly on other devices. We are currently working to make it accessible to a wider range of tablets and mobile phones. Tap or click on an area of the map for more information. It may be many times bigger than the average family’s twenty-first-century lawn, but that at Arcadia would still be recognisable as the location for much childish fun, particularly hoop rolling and cricket games. Follow this link to see what hoop rolling was all about! Bills for toys for John Frederick Sackville (born c.1779) to enjoy at Knole in the eighteenth century include “’butts and stumps - £0.8s.6d.’ for playing cricket. (Knole), Robert Sackville-West, Inheritance: The Story of Knole and the Sackvilles, p132. 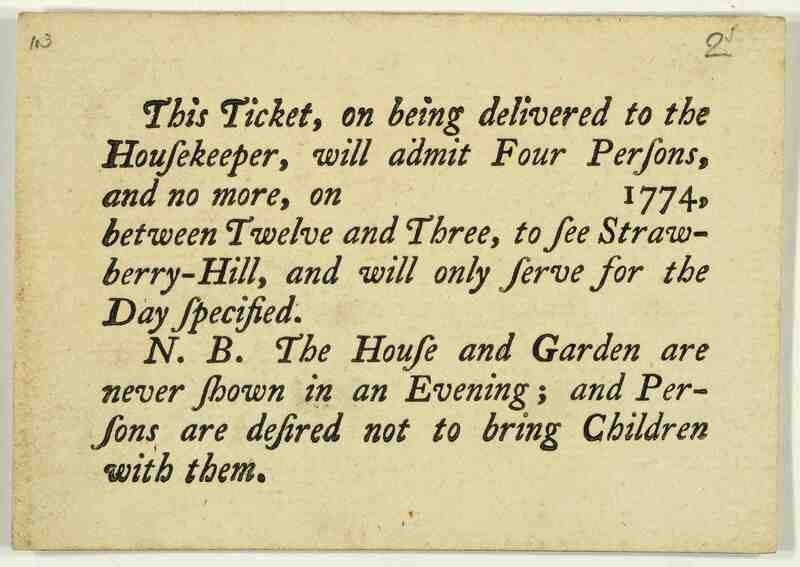 Garden visiting became so popular in the late eighteenth century that fashionable places such as Strawberry Hill began issuing tickets to would be visitors with set visiting hours and rules regarding numbers. However, if you were well connected you could often still turn up at a garden unannounced and be shown its various exotic blooms and latest improvements by a gardener. 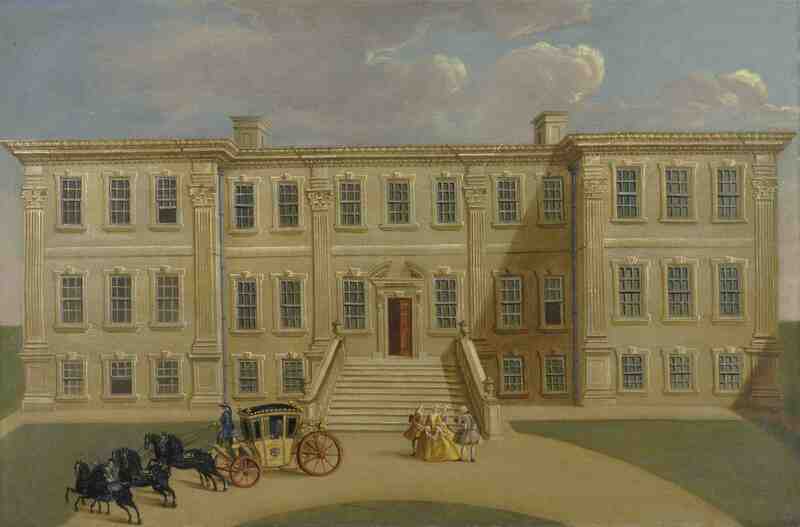 The Hon Mrs Boscawen reported her visit to Luton Hoo in October 1776 in a letter to Mrs Delany. You may be sure that I did not réclamer the one or the other, or even mean to let her [Lady Bute] know I was so near her; my aim was to see that delightfull conservatory in particular and the garden in general. As I pass’d the castle-gate on my way to the town, we enquired of the porter about seeing the garden, which he said we might do, and come in there, only keeping the gravel road, which would lead directly to the garden: it did so, and there I entertain’d myself highly above an hour; the gardener more civil and agreeable that ever I saw one, the conservatory more delightfull. Here I was talking to him of Mrs Delany, when a servant came from Lady Bute with her most kind commands to dine with her en famille; I obey’d immediately, for dinner hour was very nearly come….. 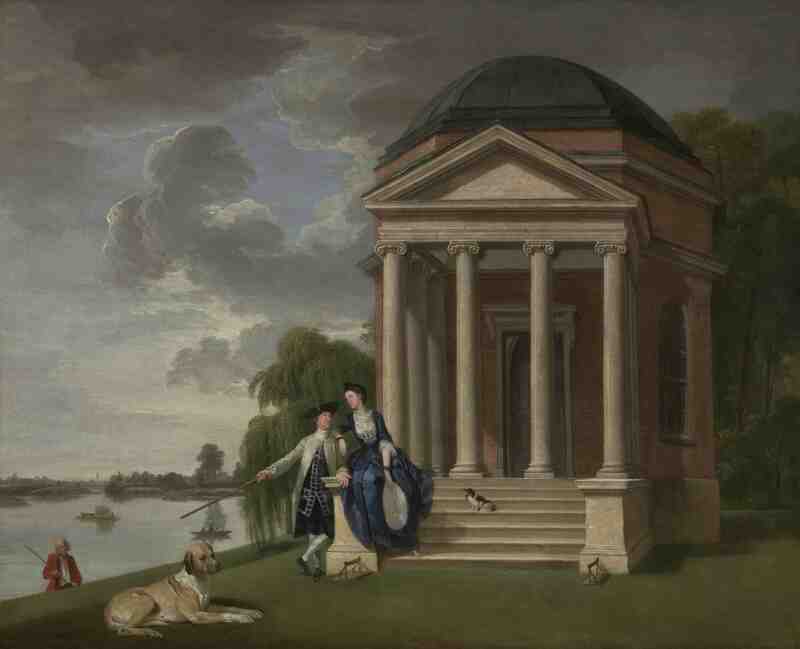 There was a fashion in the Georgian period for creating ornamental versions of previously utilitarian rustic buildings, such as shepherd’s huts, and placing them within the landscape garden. 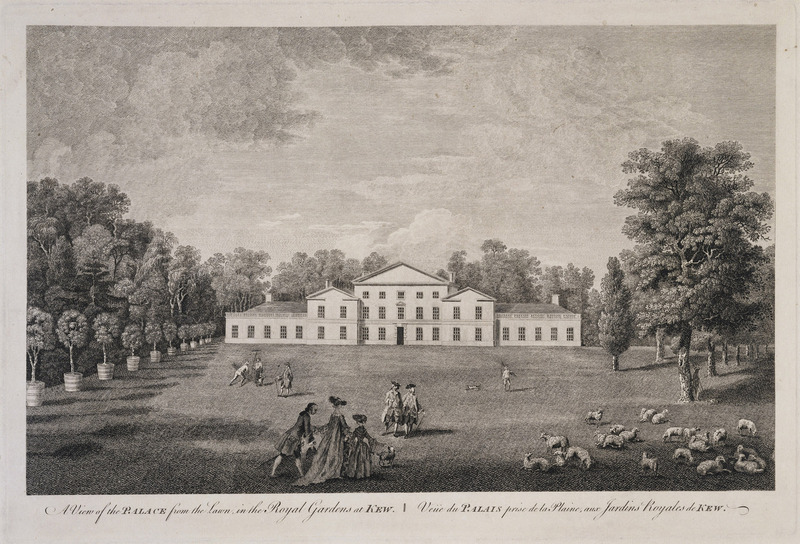 The Shepherd’s Lodge at Arcadia reflected the eighteenth-century enthusiasm for make-believe, for gentlemanly farming as a noble pursuit, and for role-playing a life infused with classical rural activities. Grottos have been popular features in gardens for many centuries, conjuring images of mystical caves and inspiring imaginations. In the eighteenth century, these man-made but naturalistic caverns would often be decorated with shells or ornamental rockwork, and the process of constructing them was as entertaining for their owners as their eventual use as places for entertainment or contemplation. We know from Mrs Delany’s letters that she enjoyed creating shell work for grottos like the one in Arcadia. About half-a-mile from hence there is a very pretty green hill, one side of it covered with nut wood; on the summit of the hill there is a natural grotto, with seats in it that will hold four people. We go every morning at seven o’clock to that place to adorn it with shells – the Bishop has a large collection of very fine ones; Phill and I are the engineers, the men fetch and carry for us what we want, and think themselves highly honoured…. This affair yields us great diversion, and I believe will make us very strong and healthy, if rising early, exercise and mirth have any virtue. Our daily amusements I have so often repeated; that you have them by heart, but are they not pretty; do you not wish yourself extended on the beach gathering shells, listening to Phill while she sings at her work, or joining in the conversation, always attended with cheerfulness? perhaps you had rather rise by seven and walk to the grotto with your bag of shells, and a humble servant by your side, helping you up the hill and saying pretty things to you as you walk? though maybe you choose to be at work in the grotto shewing the elegancy of your fancy, praising your companions’ works, and desiring approbation for what you have finished? if this is too fatiguing, ‘tis likely you would prefer working or reading till dinner, after that eating nuts and walking to gather mushrooms, &c.
The visual and atmospheric effect of a cascade of water has been appreciated by many generations of garden makers. Within the landscape garden they were often designed to appear natural, with torrents of water rushing through woodland setting. However they could also be formal and appear overtly manmade, perhaps with an accompanying terrace and geometric shapes to create a striking effect. 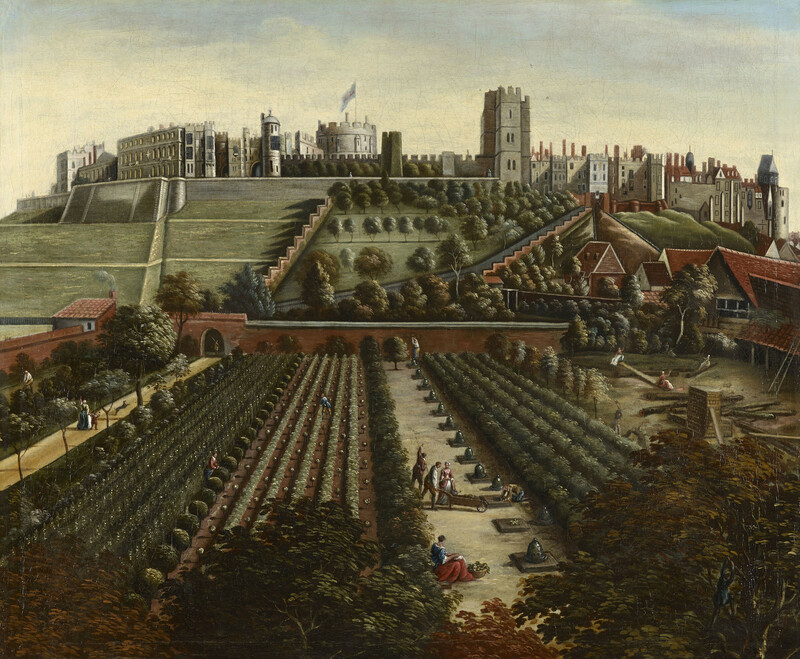 There is more to gardens than plants and trees, and Arcadian garden makers knew that the presence of buildings in the landscape could be highly effective. Many garden buildings were created with no earthly practical purpose but simply added for their visual effect. The most well-known of this type were ‘follies’. These were seemingly ruined buildings that were constructed in a deliberately derelict state in order to attempt to give a landscape an air of antiquity, dignity or melancholy. 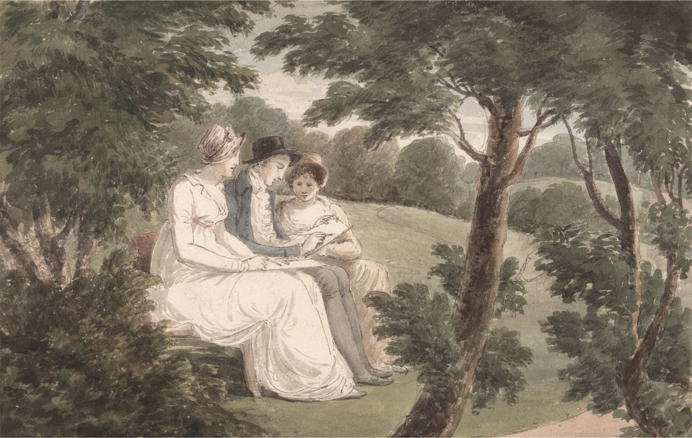 They often also acted as places to rest on a walk or ride, and therefore made the most of any viewpoints from which garden visitors could admire the surrounding landscape. You have not the least intimation of a design upon you; nor any suggestion that you are on the highgrounds; till the folding-doors of the buildings at Mowbray-point being thrown open, you are struck by one of the grandest, and most beautiful bursts of country, that the imagination can form. 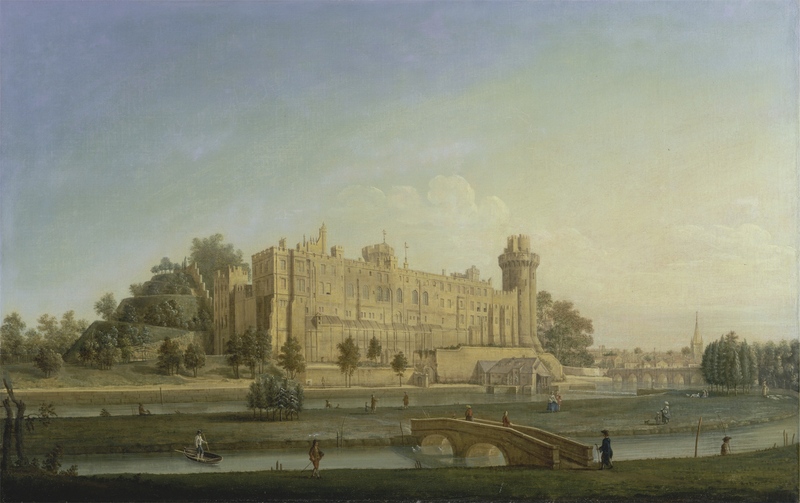 In the eighteenth century there was a craze for building hermitages. These were small rustic hovels in which garden visitors could imagine that solitary and often spiritual figures resided. The main intention was that by visiting these buildings people would be inspired to reach their own state of contemplation. In some cases, real people were actually employed to live in the buildings as hermits! 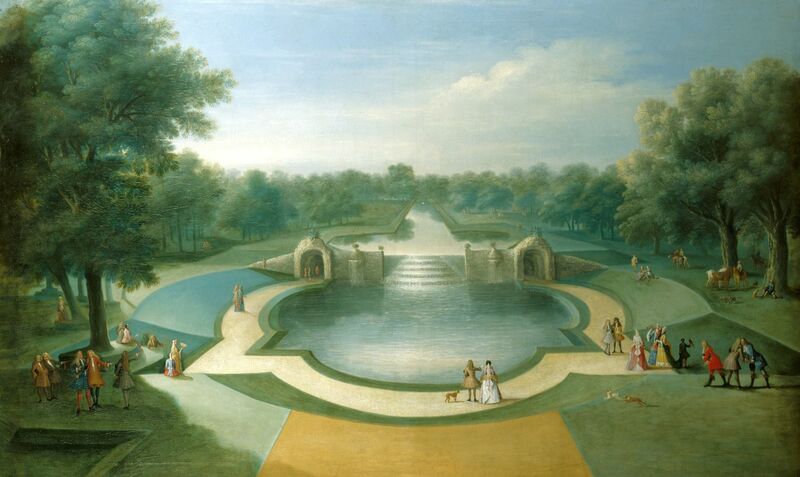 Landscape gardens of this period almost all included a lake at their centre. This provided a focus for the eye but also a place for diverting activities such as fishing, boating, and waterside strolls. They were also used to host many and varied entertainments. There is a gravel walk from the house to the great lake fifty-two feet broad, and six hundred yards long. The lake contains 26 acres, if of an irregular shape, with a fort built in all its forms; there are islands in the lake for wild fowl, and great quantities of them that embellish the water extremely. I never saw so pretty a thing. There are several ships, one a complete man-o-war. My godson is governor of the fort, and lord high admiral; he hoisted all his colours for my reception, and was not a little mortified that I declined the compliment of being saluted from the fort and ship. The boat-house from whence this landscape is taken, is an octagon, prettily ornamented within by festoons of flowers, and medallions in stucco. A curious sliding window, that opens to the water, adorned with painted glas in whimsical groups of grotesque figures, is certainly very ornamental; but this stained glass, amusing as it is to the generality of people, excludes, when the window is shut, a variety of objects infinitely more interesting. Well (as I was saying in my last to you), we went a-fishing to the most beautiful river that ever was seen full of islands delightfully wooded. 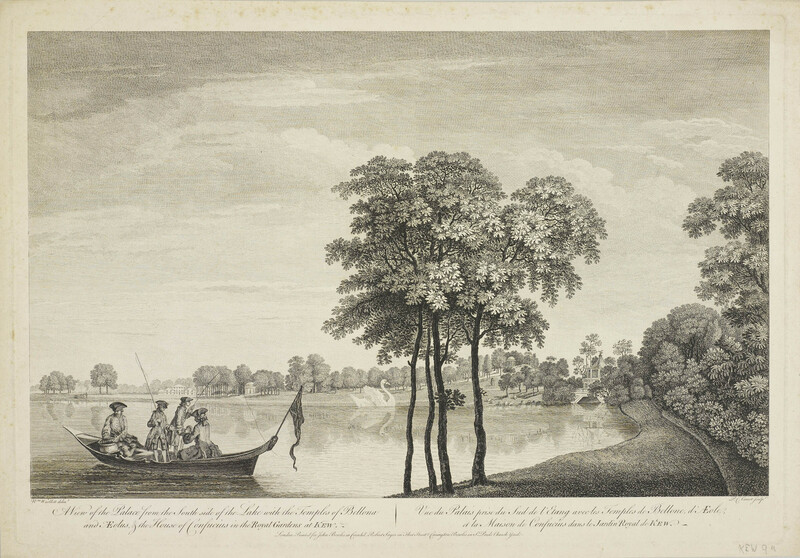 We landed on one of the islands belonging to the gentleman that carried us there – Mr Mahone. A cloth was immediately spread on the grass beneath the trees, and within view of the winding of the river, great variety of provisions was produced. We sat ourselves down and partook very plentifully and merrily of the good cheer before us; our sweet Phill supplied the place of nightingales, and the weather favoured us…. We staid on the water till eight o’clock. Your Journey to them [fish ponds] is short and easy, and your Eye will be often upon them, which will conduce to their being well kept, and they will be an Ornament to the Walks’. Parks, Bowling-Greens, and Billiard Tables, are of the same Design; but it will be easily granted, this of Fish is beyond ‘em all. 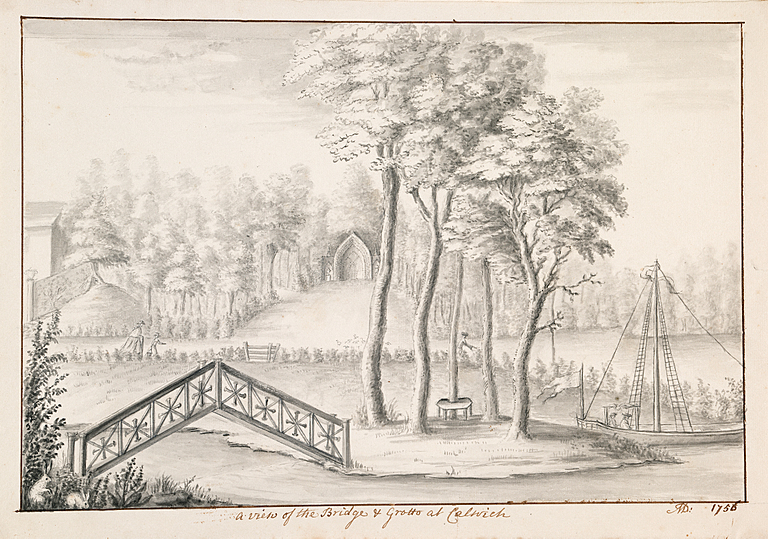 One of the chief amusements in the landscape garden was to take a walk along its many paths in order to take in the views. These walks could be long, so paths would be dotted with carefully placed seats from which to admire the scenery. More wild and picturesque seats could even be carved from existing rocks. I stepped to another small bench at a few paces distant, where I thought the beauty of the cascade appeared yet more consequential, and that by a glimpse of a stone quarry, high among the trees, forming a romantic perpendicular precipice above the head of the water – a fear, which, though purely accidental, proves a noble appendage; and if more of it were seen, it would render the scene still more admirable. And hear the silver rills run bubbling by. 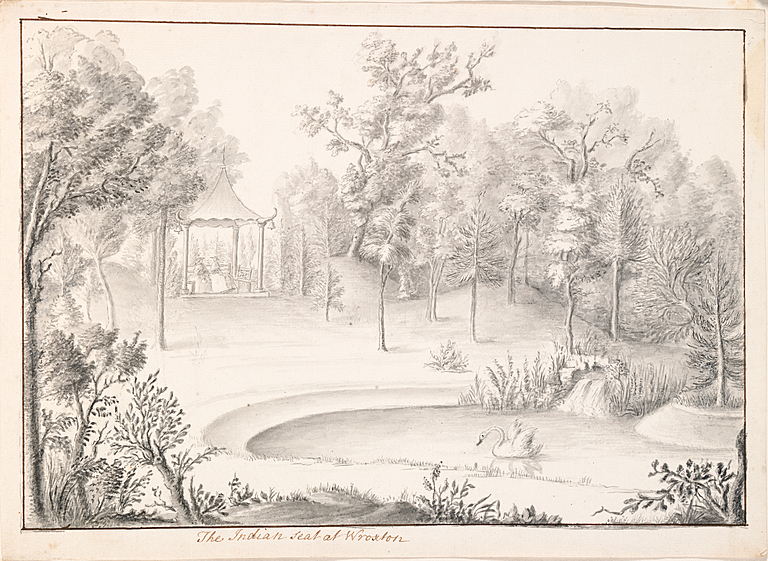 The gardens at Arcadia include a bath-house. This was an ornamental building containing a small pool, known as a cold bath, which was usually fed directly from a spring. Immersing oneself in the very chilly waters was viewed as both a fashionable and healthy activity - by those brave enough to try it at least! ..a Souse into that delicious Bath and Grot filld with fresh Magic, is Asiatick Luxury & too much for Mortals or at least for Subjects,..
Changing trade relations with China over the course of the eighteenth century led to a fashion for all things Oriental in Britain. Garden owners were not immune to this shift in taste and they even created small Chinese-style buildings in their gardens. Although fuelled by passion for the East, these buildings were often not like any actual Chinese buildings but rather inspired by a vague sense of the exotic! By the time our Arcadia was created, owners had gone beyond creating views that took in just the immediate gardens, and were as interested in those views that could be obtained over the boundary wall and beyond. 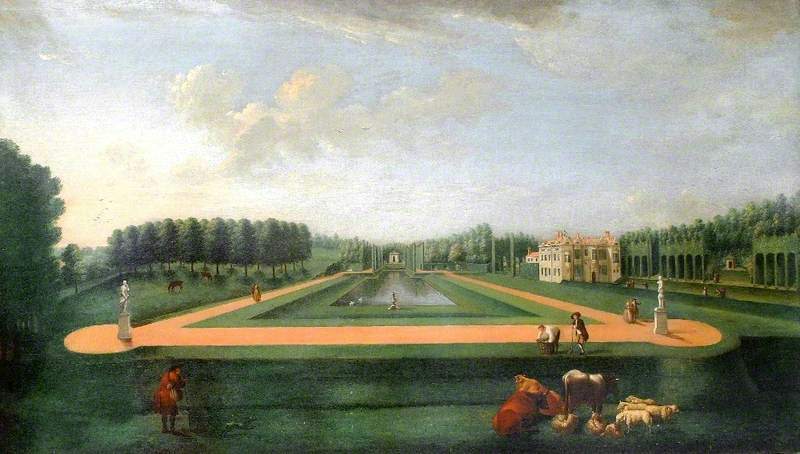 Throughout descriptions of garden visiting at this time, references were often made to the beautiful countryside in which the estates were set. As well as taking a delight in wild animals and birds, many garden owners also specially-built attractive menageries and aviaries for their more exotic collections of creatures. The sound from the aviaries and menageries of the Georgian garden must have provided an enchanting and sometimes surprising soundtrack for the garden visitor! 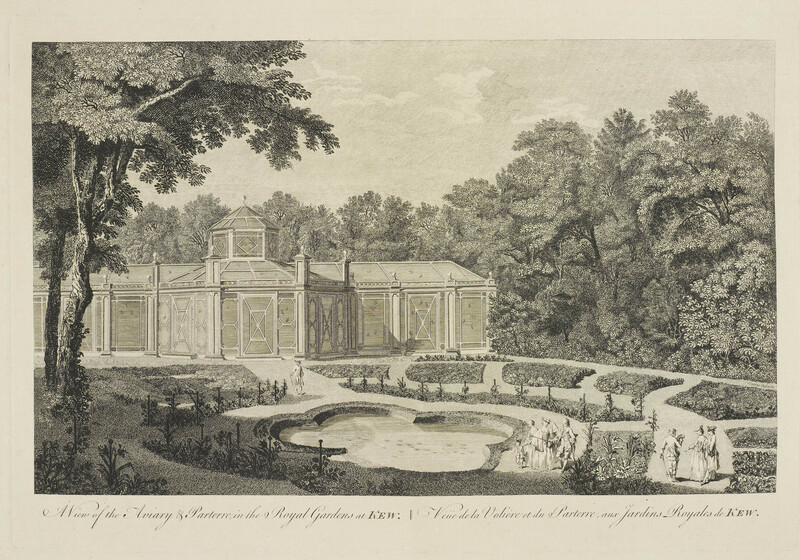 In common with many other examples, the aviary in Arcadia is surrounded by unusual plants arranged in flowerbeds. But what think you of a menagerie here of extraneous birds? – it is true, there is a pleasure in contemplating the variegated plumage, and different forms of creatures brought from distant climes; but, that such a costly ornament as a menegere, should be brought to grace a cottage, of all places, is not only a very singular circumstance, but admits of the strongest doubts of its eligibility. – Perhaps you will be ready to excuse it, when you are sensible that an indigent family is maintained, and placed here, through charitable motives, meerly to be attentive to the wants of the fowls- this speaks benevolence only; it does not invalidate the objection in regard to the locality of the object. 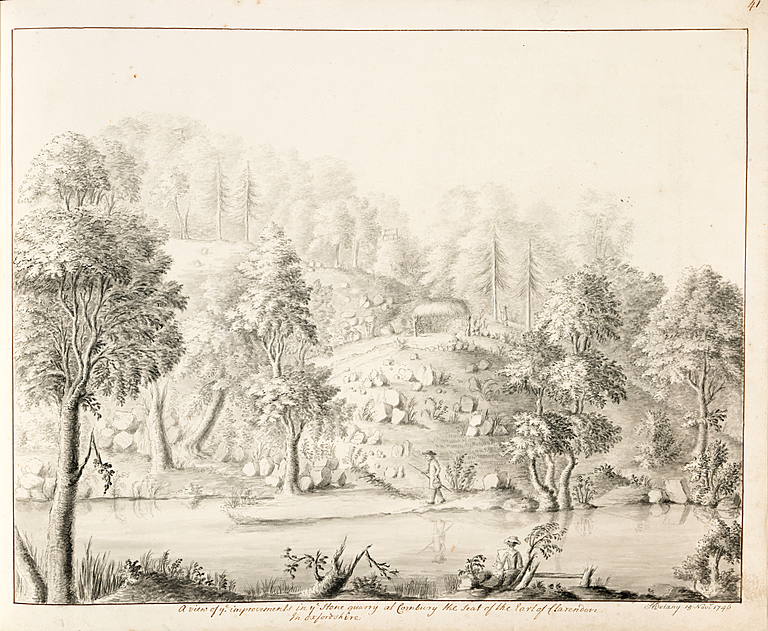 – The proper place for a menegere, I should think, is a gay garden, among fine objects; and quite in character, if placed as wings to a green-house, or to a pinery; as it may be said, the bird bear some relation to the various exotic plants, natives of the very clime they themselves came from. 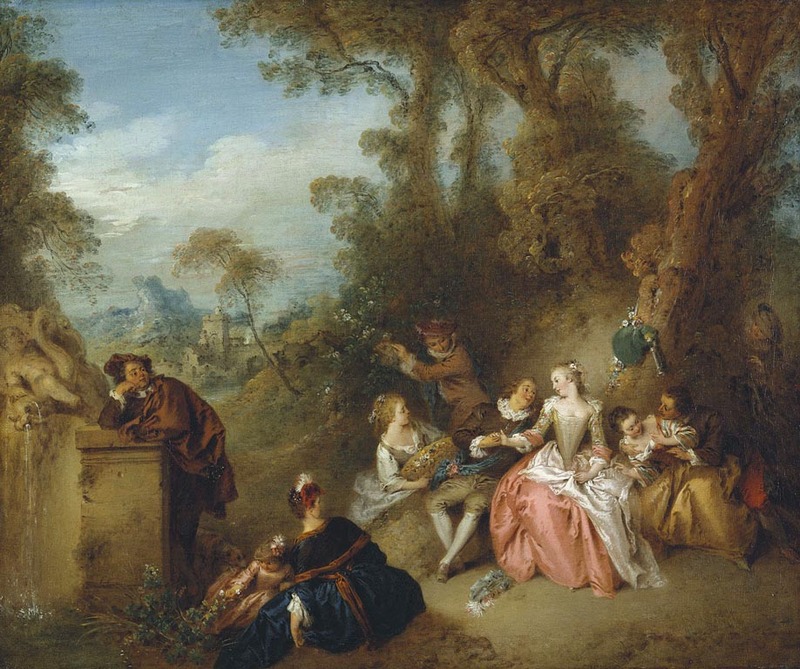 The eighteenth century saw a great fascination with classical culture, and many garden features were introduced specifically to give a sense of antiquity, such as the pseudo Pagan Altar. We were all much pleased with the Pagan Altar, it was new to us, for it was not even begun when we were there, it was generally approved of I assure you. I want to know who was the chief inventor, it really does honour to their taste, it is quite an uncommon thing, I admire the upper Cornice vastly with the broken pieces [sic] falling down. 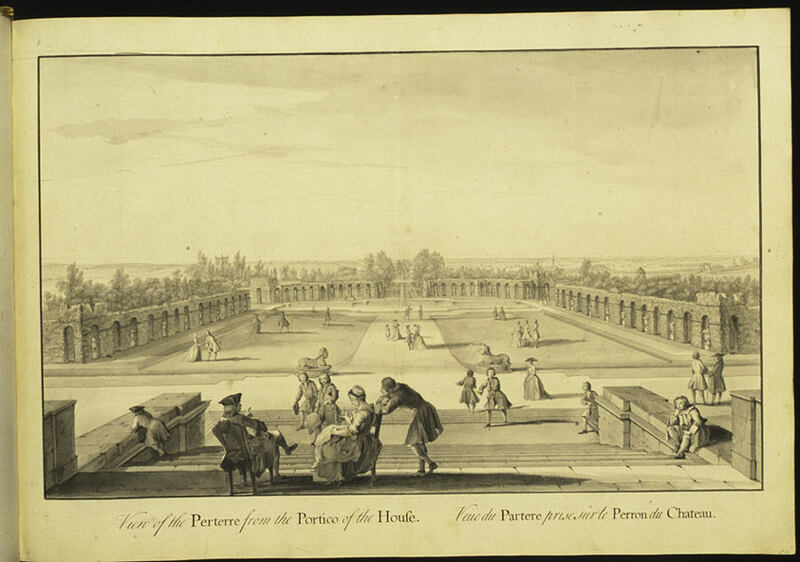 Earl Havernot created a temple to Vesta at Arcadia, to attract the eye from the terrace, and to provide a destination for walks. It was very similar to that described by Mrs Delany at Dangan. 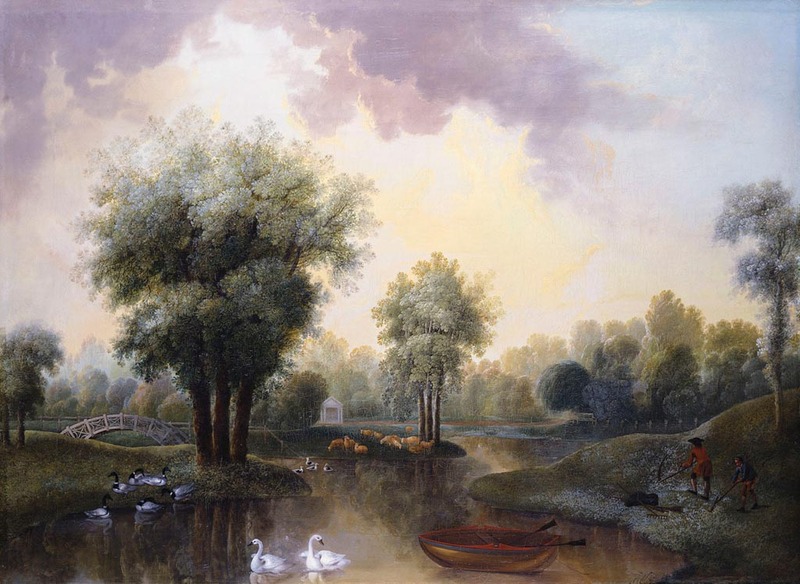 The canal at Arcadia provided the focus for many amusements, some of which were rather lavish and accompanied by music. 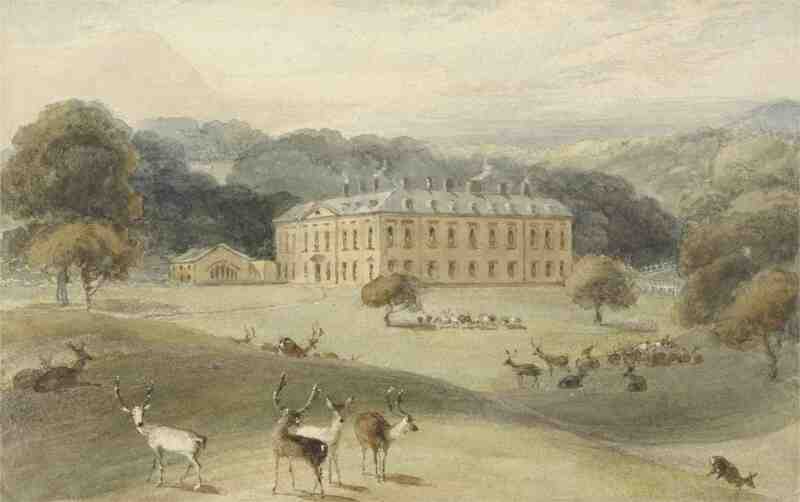 Surviving from the medieval period, Arcadia’s deer park was still well stocked and much enjoyed in 1751 when it was used as a venue for the popular sport of hunting. Today, you can still see deer roaming through the trees. In the eighteenth and nineteenth centuries it was popular to build a ‘roothouse’ as a feature to be spied on a garden walk. These little buildings were quirky rustic constructions of bark and twigs, often with tree roots twisting around them. The example at Arcadia survived only a few decades, but you can still see the foundations on this spot today. Lady Austen's lackey, and a lad that waits on me in the garden, drove a wheelbarrow full of eatables and drinkables to the scene of our fete champetre. A board, laid over the top of the wheelbarrow, served us for a table; our dining-room was a roothouse, lined with moss and ivy. At six o'clock, the servants, who had dined under the great elm upon the ground, at a little distance, boiled the kettle, and the said wheelbarrow served us for a tea-table. We then took a walk into the wilderness, about half a mile off, and were at home again a little after eight, having spent the day together from noon till evening, without one cross occurrence, or the least weariness of each other — a happiness few parties of pleasure can boast of. And frisking Lambs in sportive Gambols play. Billiards became a fashionable game in the Georgian period. Although it was more common to find dedicated rooms within the house, garden buildings could also find themselves being built or adapted for the use of this game. 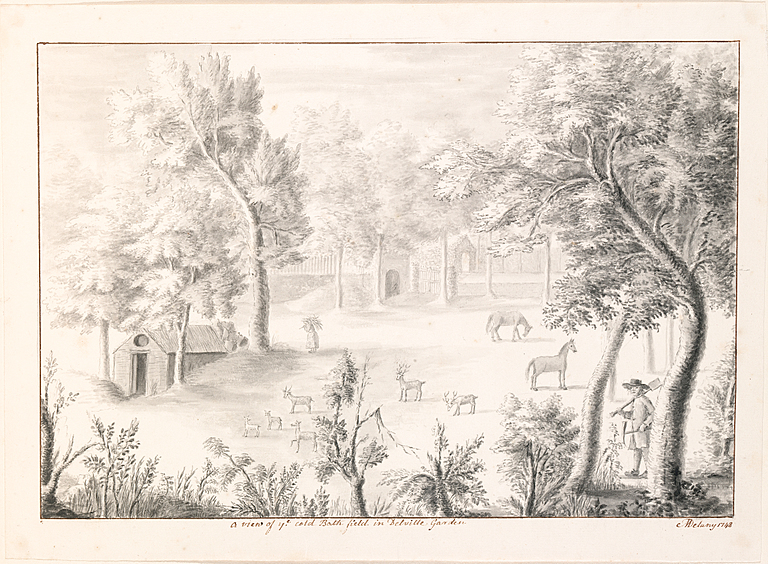 Hahas were an invaluable device in the eighteenth century for keeping the cattle and sheep in the parkland where they animated the view whilst preventing them from accessing gardens nearer the house were they could cause expensive damage. A sunken ditch acted as a barrier that prevented livestock from leaving their designated area, but without the visual intrusion of a fence or wall. 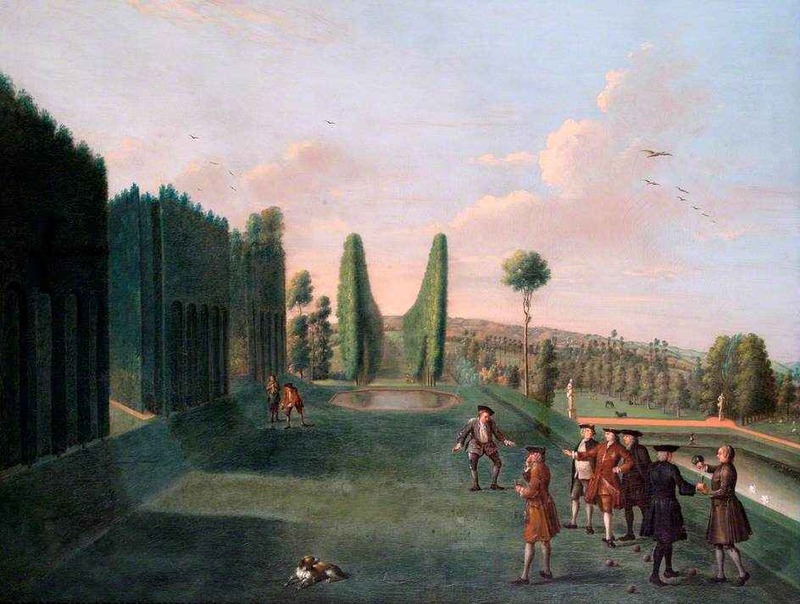 Bowling was a widespread and popular sport in the eighteenth century and at Arcadia there was even an attractive pavilion next to the bowling green, in which players could enjoy tea or shelter from unexpected rain showers. Nearby was an alley for ninepin bowling and also a tennis court. In the afternoon we drank tea in the Bowling Green house, or rather under the arcade, from whence the view of the water & the old oaks beyond it is very fine. To crush the springing Turf, and sink the knotty Ground. O'er the soft, verdant Surface speed their Flight. Of those, which in a Line directly move. And who arrives the nearest, wins the Game. Till by Degrees it loses all its Force. That scarce a single Bowl can pass between. And works insinuating, and wins the Prize. He blames the Rising-Rub and guilty Ground. Allures the Globe from its appointed Course? And still its former, wayward Course maintains. And all the Caster and the Cast commend. And rapid from his Arm the brandish'd Engine flies. And leaves the flying Village far behind. 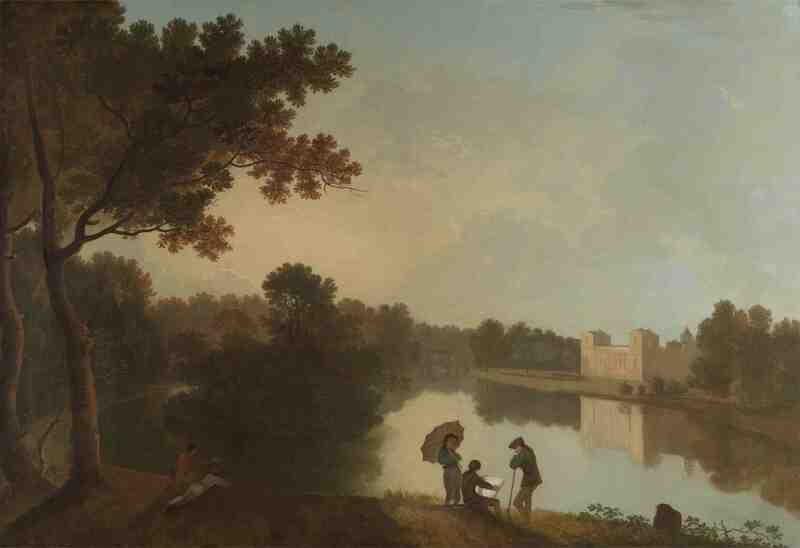 The landscape at Arcadia, like most others of the period, was intended to be enjoyed via a predetermined circuit tour, taken on foot, on horseback, or in a trap. 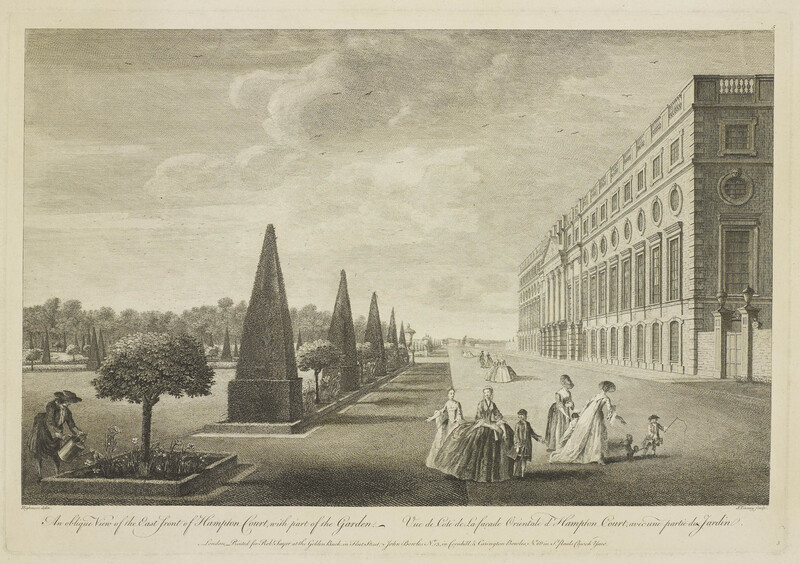 It is a common misconception that eighteenth century landscapes were limited to green swards of grass and tree plantations, but flower gardens were a popular feature too, with a wide range of scented flowers being grown. 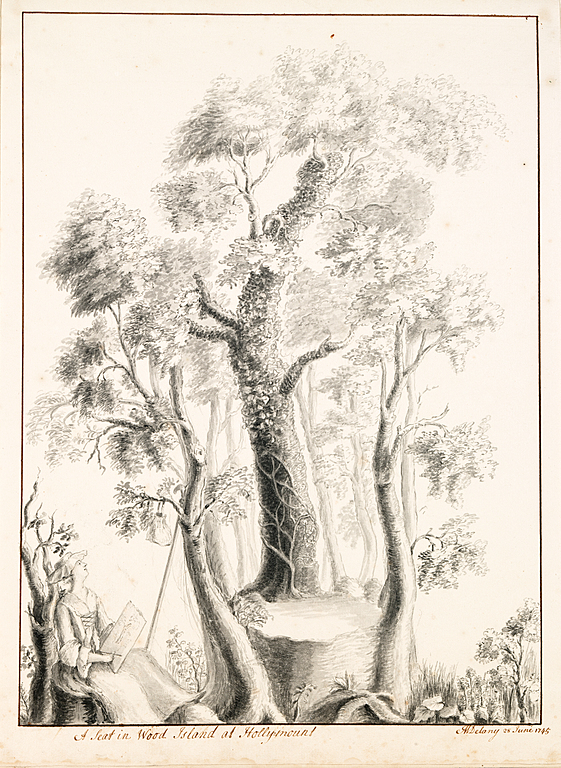 Amongst his many other works at Arcadia, Capability Brown refined the geometric seventeenth-century grove into a more naturalistic collection of trees with twisting paths and dappled glades. This was widely admired, but doubts were expressed when such changes were first proposed at Wrest. The walled kitchen garden kept the entire household fed, including staff, with fruit and vegetables far more varied than those we enjoy today. To enable this productivity, an array of hothouses, glasshouses and teams of gardeners was required. Having been introduced to the idea of growing oranges by John Parkinson in 1629, the British gentry made orangeries a common garden feature by the eighteenth century. 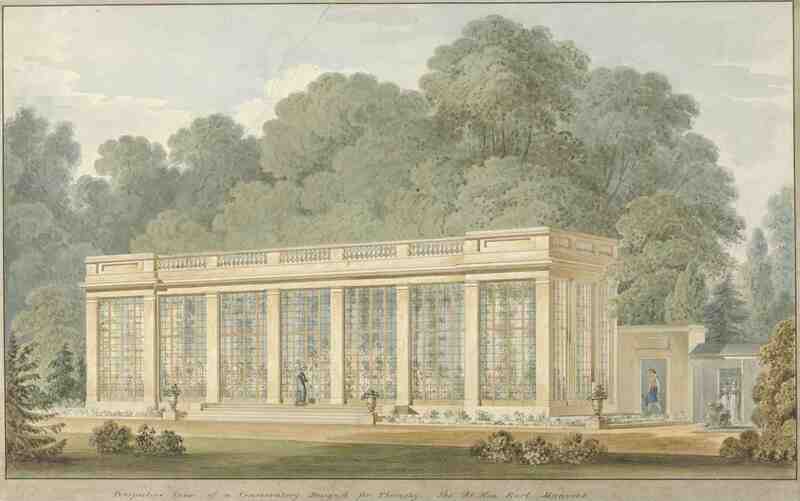 With trees grown in containers, often with wheels on the bottom of them, the orangerie combined the design features of a green house, in terms of a warmer artificial climate, with wide doors which would allow the trees to be wheeled outside in the summer. 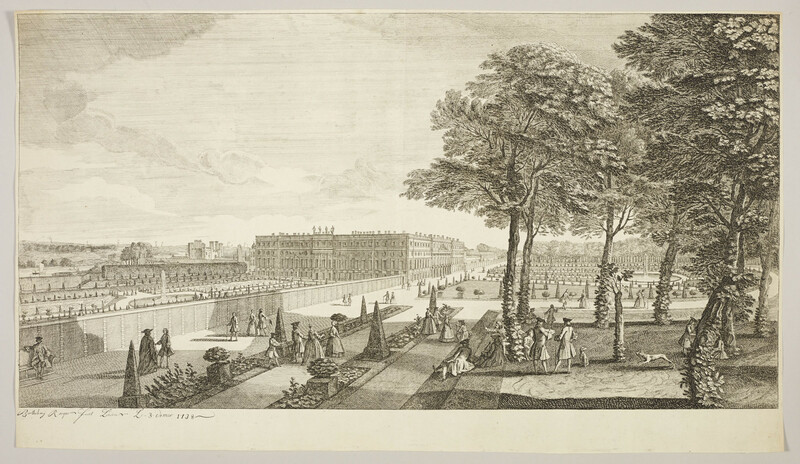 The terrace at Arcadia was one of the widest in the country, and was frequently used for entertaining, with musicians and dancing. 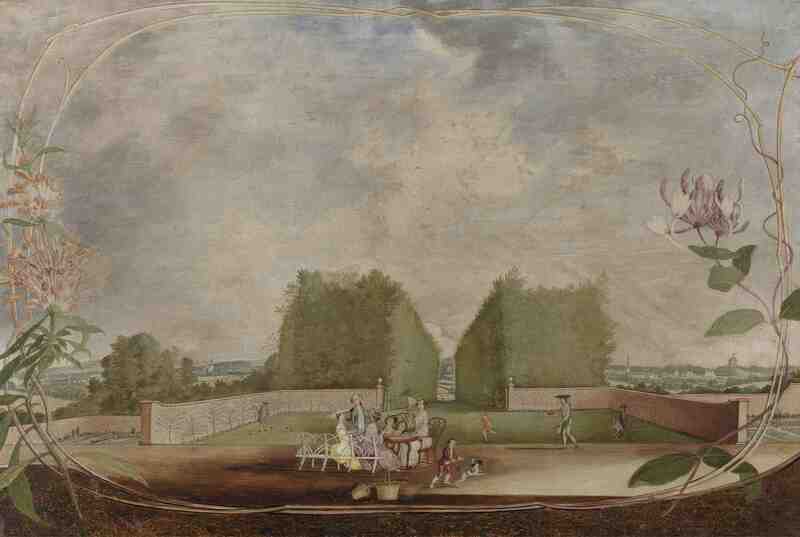 The eighteenth-century garden often acted as a back drop for sociable occasions and Arcadia was no different. 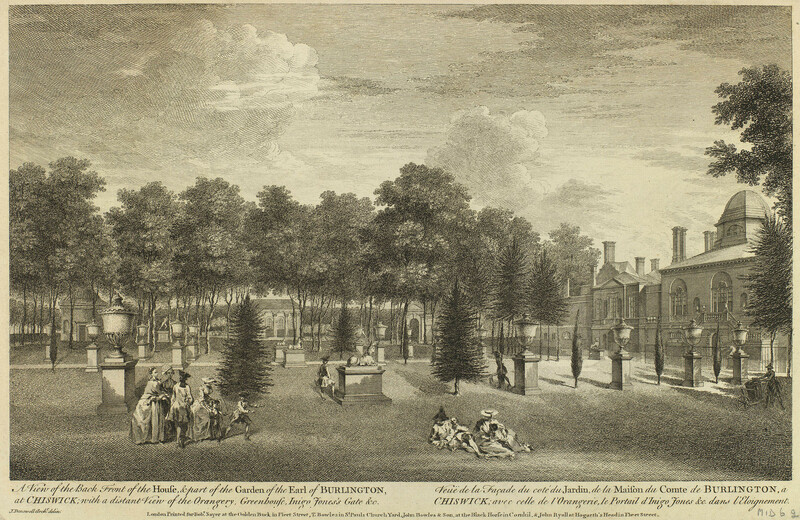 It even had a saloon built in the landscape in order to create a magical scene for an extravagant party known as a Fête Champetre. 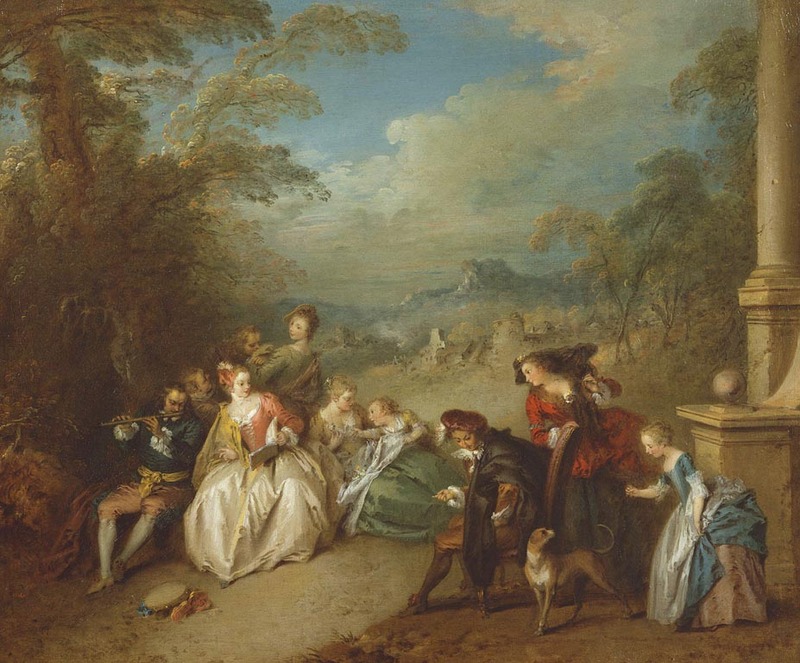 Made popular in Versailles, France, this particularly flamboyant type of party involved guests dressing up in a pastoral clothes, often as shepherds and shepherdesses, and taking part in activities such as country sports and dancing. 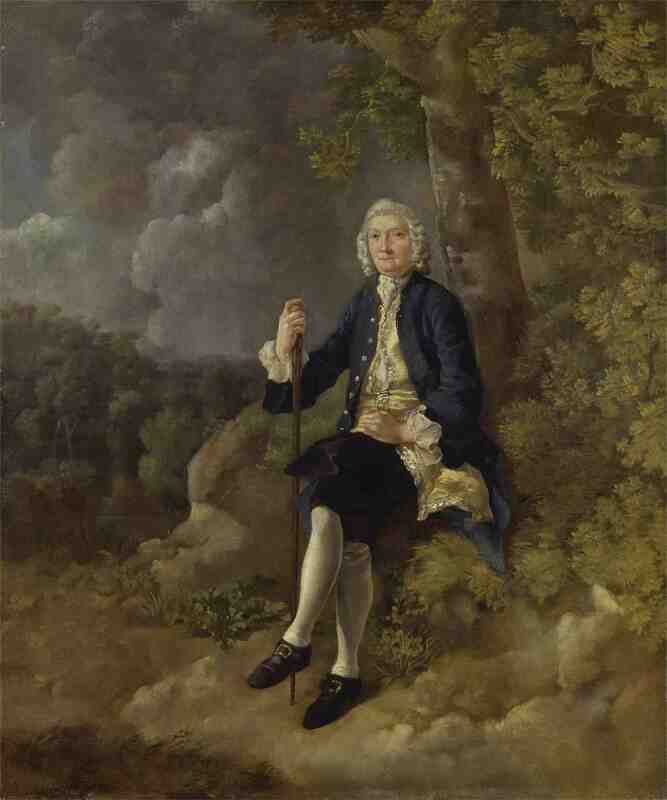 Woodland on eighteenth-century estates not only provided valuable income from the sale of timber, but were also noted elements in their own right and provided opportunities for communing with the wilder elements of nature. 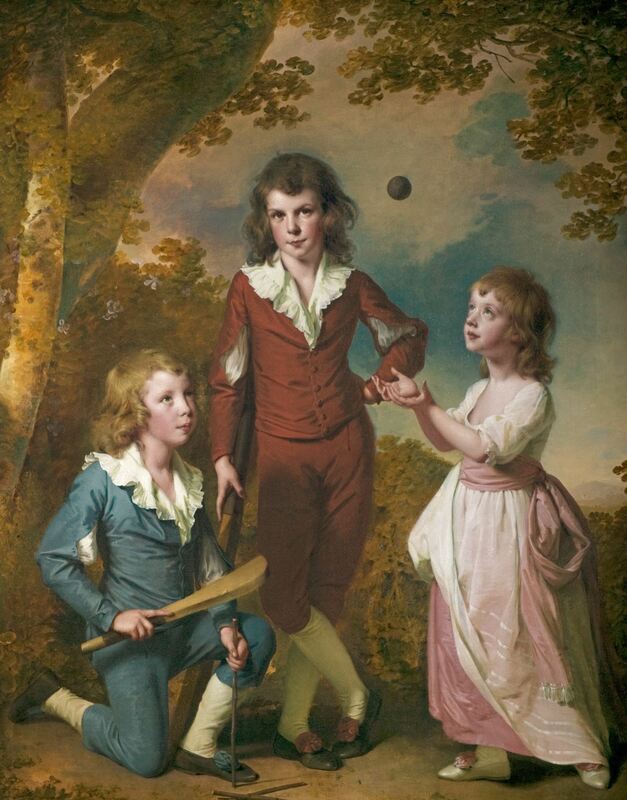 Arcadia’s long drive was created in 1720 after the original approach to the house was diverted in order to create a more impressive and scenic arrival and tour of the estate for guests. 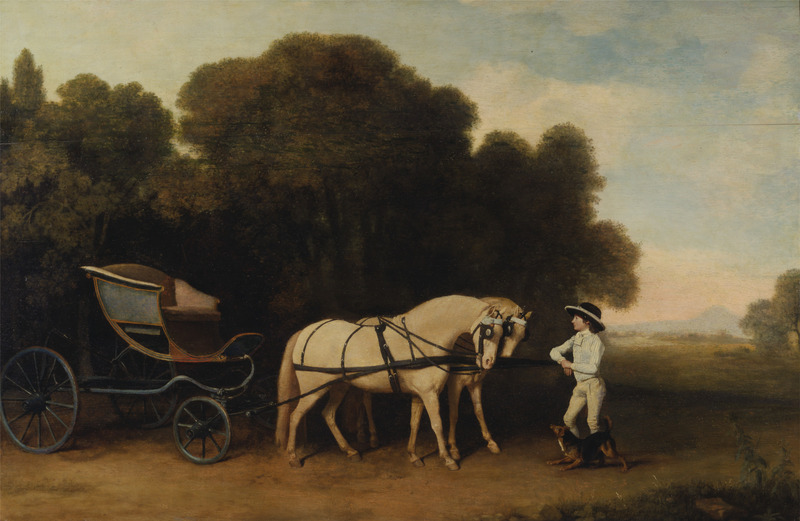 Carriages were the main method of transport for the Georgian elite, but other forms of transport could also be enjoyed! 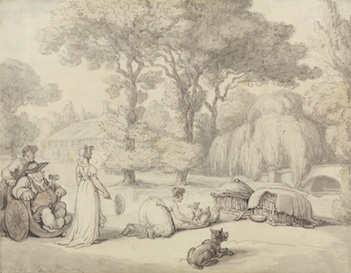 The eighteenth century saw a cultural fascination with the rural, inspired by classical ideals, which prompted many garden owners to create their own fantasy farms, in which they could act out their vision of farming life. The ferme ornée at Arcadia is typical of this fashion. Welcome to our gardens of Arcadia where you, our visitor, can experience our smooth lawns, tranquil glades and sensational grottos!